How do you get the most out of your medical insurance when you can't even understand the policy?! How do you make "cents" out of non-sense? Which policy is right for you? You might even think you understand your policy, but what you don't know may cost you big time! Learning the basics can not only save you time and frustration, but money as well. Together, we will go over basic terms, the various types of policies, some policy limits, and more. By the time you are through, you will be a whiz at understanding your insurance!!! I will give you examples of "how it works" along the way. This will give you an idea of how your insurance benefits may be applied. So let's begin with the basic terms! 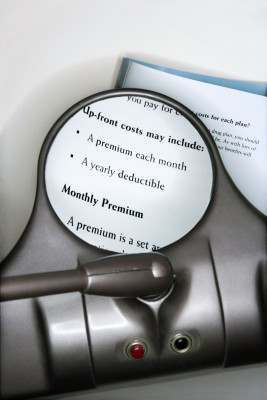 There are many terms involved in understanding your health insurance. Use the Search Box to look for specific terms.